My mother tried this recipe a long time ago and I've loved it ever since. She first got the recipe from the little recipe booklet that came with the Bundt pan and she said it was good because it makes "a nice size cake". She always knew best! Cream butter and sugar until fluffy. Add eggs, one at a time, beating well after each addition. Add flour, lemon juice, and 7UP. Mix well. Pour into greased bundt pan. Place in oven and bake for 1 hour and 15 minutes or until the top springs back when lightly touched. Remove from pan and cool completely on a wire rack. Dust with confectioner's sugar or drizzle with glaze. 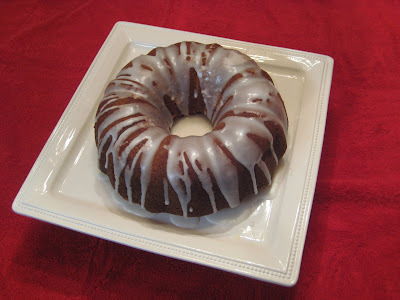 For an easy glaze, just mix a little splash of 7 Up with some confectioner's sugar until you reach the right consistency then simply drizzle over the cooled cake. i LOVE this cake!!! been one of my favorites since you brought it to the ritz during a show SOOO many years ago!!! i love you joey and your food too!!! MWAH!